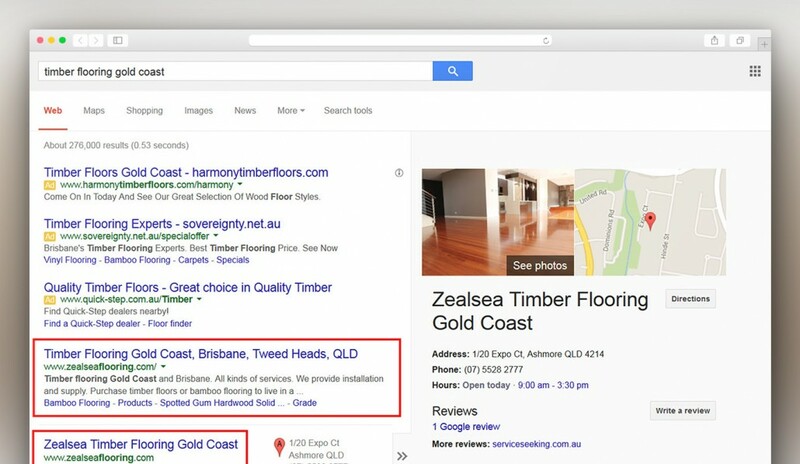 Zealsea Timber Flooring is an ecommerce site offering products and services in parts of Australia. It needed SEO work to get to the top rankings of Google Australia. We provided both on-site and off-site optimization to maximize SEO impact. As a result, the target keywords appeared at the top of the first page of Google search.